Use of any rental equipment while you are at the park. Try out new demo boards. *Package includes board, life jacket, and helmet. Prices do not include New York State sales tax. Can I use my wakeboard at Roseland Wake Park? All wakeboards can be used at Roseland Wake Park. However, boards that are designed specifically for boat use are not made with a grind base. These boards will not last very long at the park if you are sliding on the features. Hitting a feature with your boat board will void the manufacturer’s warranty. If you have no intention of hitting any of the features, a boat board will work fine at the park. All of our rentals have a grind base so you can hit the features. What is the difference between beginner and advanced boards? Roseland Wake Park will have both beginner and advanced wakeboards for sale and rental. Beginner wakeboards have stiff rockers with molded in fins. This helps riders control their balance and their board. Advanced boards have a flat bottom with a flex rocker. This makes it easier to slide on features and even press the boards on the features. All of our rentals boards will have a grind base to protect the board from wear and tear from the features. However, Roseland Wake Park is not responsible for any damage done to boards on the features. Come try out new wake surfers, wake boards, water skis, kneeboards, stand up paddleboards, or wake skate to help you decide which model to buy. Cost: $50 for one board and $25 for each additional board. $50 of the demo price will go towards the purchase of a new board upon returning the demo board. 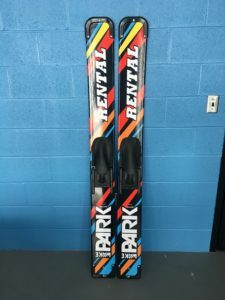 All demo boards must be returned within 24 hours of rental. Must fill out waivers and have a copy of drivers license on file at the park.